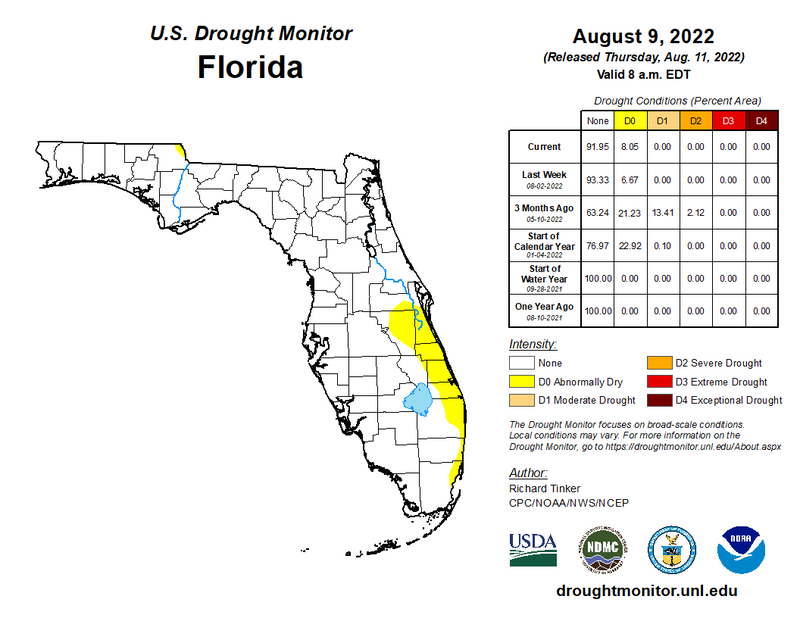 Drought Monitor displays the long-term drought conditions. The long-term drought is defined by a rainfall deficit for a significant period of time over an area. 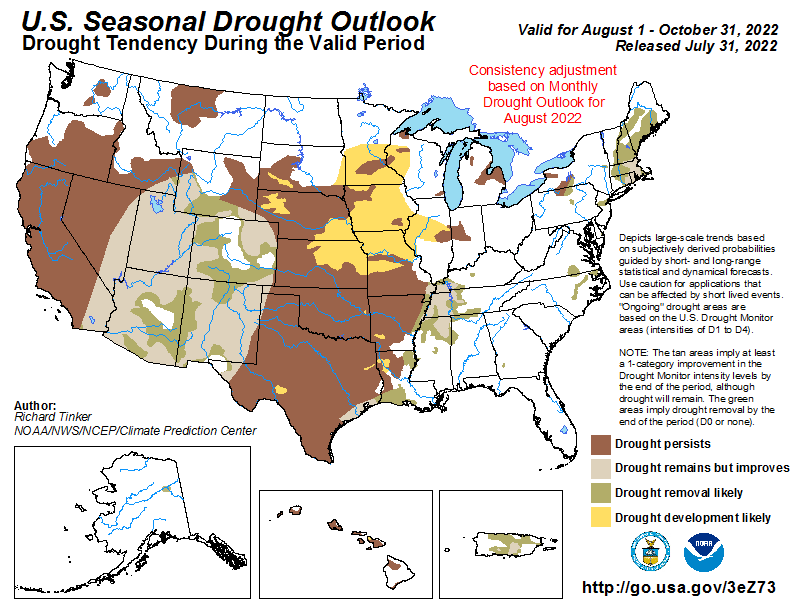 Seasonal Drought Outlook map shows the forecasted drought conditions. Florida is divided into five water management districts, which are dedicated to the preservation and management of Florida's precious water resources.